So do you need double or triple glazing? A simple question, but is there a simple answer? Most of us are now familiar with the advantages of double glazing over single glazed windows. Better insulation, energy efficiency and noise reduction make double glazing a natural choice in most people™s homes. But now Triple Glazing is becoming widely available, so how does it compare and how do you know that you are choosing the right system for your home? These days, it™s quite common for installation companies to push Triple Glazing as a ˜No Cost™ upgrade to entice you to order with them. 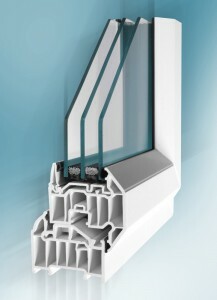 Now common sense dictates it will, without doubt, cost more to fabricate a triple glazed sealed unit “ how can it not? So can it really be ˜Free™? No, it can™t! Firstly, you need to make a decision “ do you believe you actually need Triple Glazing and, will you really gain any benefit from having it, or is someone just trying to suggest that you do? Well, let™s start by going back to the origins of Triple Glazing which was developed for use in countries that regularly experience extreme weather conditions, places such as Scandinavia and Eastern Europe. It is important to note, that the construction of homes in these regions varies dramatically from that in the UK. They are super insulated. The triple glazed units are usually over 50mm in thickness and are, more often than not, fitted into window frames that are 120mm or more deep. 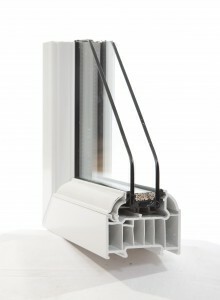 They are usually made of timber but in PVCu they contain 12 or more insulating chambers across the product. By direct comparison, the majority of current PVCu window frames in the UK are just 3 or 4 chambered profiles and measure some 70mm in depth, although the odd company offering 85mm alternatives does exist. As a result, Triple Glazed units installed within UK windows are typically only 28mm to 36mm in thickness, meaning there is no real comparison to those that are sold in Scandinavia and Eastern Europe. The performance of a product, for both thermal and sound reduction, takes into account the whole product, not just the sealed unit construction and as a result, both the frame as well as the sealed unit, govern the actual results of what a product can achieve. Adding a single item alone may well not change the overall performance of any particular product by very much, if anything at all. 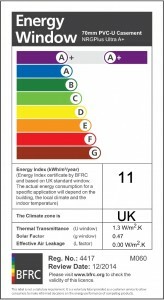 Window energy performance is measured like cars and ˜white goods™ on an A-G rating chart, with A being the best and this is what you need to look for when purchasing your windows, as well as when comparisons are being offered to determine precisely what, is being measured against what. PlatinumNRG PVCu Windows are able to achieve the very highest performance of energy rating, an A+ using our 6 chambered profiles with high specification double glazed sealed units. 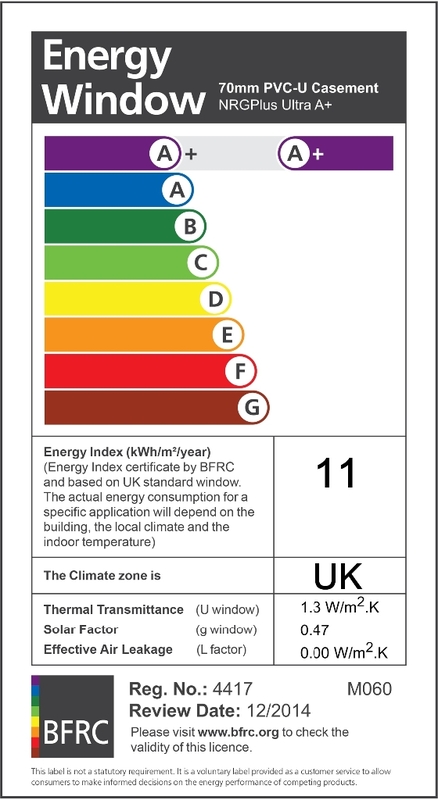 Also, in relation to sound reductions, we have certified windows that can achieve ratings from 36dB to 44dB, all using double glazed units. Please take a look at an overview of PlatinumNRG to give you further information about us and our products. Unless you are building a brand new, super insulated, ˜PassivHaus™ specified home, there is a strong argument that Triple Glazing would not really be a requirement. Furthermore, other issues to consider are the effects of a third pane of glass “ adding 50% more weight to each sealed unit! Secondly, the additional weight could also impact heavily on the longevity of your window hardware, particularly the hinges that are required to carry the extra weight. Consideration should also be given to the matter of light transmittance coming into the house. Triple Glazed units often have two sheets of glass with an iron coating on them to deliver the required energy performance enhancements. This may well reduce the amount of light getting into your home. There may also be a noticeable colour tint in the glass, again due to the coatings, that could have a noticeable effect on the external look of your home. It is important to fully understand all the options available to you before making such a big purchase “ not everything used outside of the UK is necessarily easily translated to work within the UK. Whatever you ultimately decide is right for you and your home, PlatinumNRG can cater for all your requirements, but please, do bear in mind that upgrading to more comprehensive products should mean more than just adding a sheet of glass.